As you can check out our video on the build above and the full changelog of the build below, here is a quick rundown of the highlights. – Each of the four licenses are completely separate from each other, and you will have your own Class, iRating, and Safety Rating in each. – There is one license for each type of racing available: Oval, Road, Dirt Oval, and Dirt Road. – – Your initial Dirt Oval License Class was granted to you based on an algorithm that took into account both your 2017 Oval License Class, and your 2017 participation in Official Dirt Oval races. – Heat racing is a system of competition that divides racers into different groups, or Heats, based on their qualification performance. Each Heat has its own winners and losers, and the best racers from each Heat will go on to compete against each other in the final session, the Main Event. Before that, the other racers from each Heat will go on to Consolation Races, where they may have a chance to earn themselves a spot in the Main Event! – – Click on: “Go Racing”, then, “Create a Race”, then, in the “Set Race Options” section, for the “Event Type”, select “Heat Racing”. Then, select one of the different configurations in the dropdown and finally purchase your session and join! The cost for purchasing a Hosted Heat Racing Session has a 25% discount in addition to any other bulk discounts you may already recieve. – Rallycross is a form of racing that combines asphalt and dirt track sections into a short circuit, that also includes a dirt jump. There are limited penalties, no pit stops, and cars designed specifically for this racing format. – Rallycross cars and tracks have been added to the iRacing repertoire! A new water shader has been implemented at Daytona circa 2007. This shader replaces the formerly static water effect with one which is reactive to the wind and uses current lighting techniques. – Please look forward to this water shader seeping into other tracks later this season! A brand new Spotter Pack, Cole Carter, the official spotter for Scott Speed, is now available in iRacing! – This Spotter Pack is ready to assist in all types of racing, including all calls needed for Rallycross racing! – You may select which Spotter Pack iRacing uses in your Audio Options menu. The default Aussie Spotter is ready to assist with Rallycross calls. Other Spotter Packs (except Cole Carter), are currently not setup to perform Rallycross calls. – This super-fast and hardworking team will jump into action whenever you’re pitting with one of the above vehicles on a track where that vehicle should be racing competitively. War wagons for many stock cars have been updated! The war wagons should now have more detail, and randomly opened toolbox doors. A gold hand brake overlay has been added over the normal red brake bars shown during calibration and when in or out of your car. – This overlay will only be present for our brand new Rallycross cars: the Ford Fiesta RS WRC, and the VW Beetle GRC. The “Recent Results” section of the iRacing Beta Interface is now fully functional! This section will display results of all kinds from the past 24 hours. – This section includes where you can view the Cars and Tracks you own, as well as your Racing Suit and Helmet. – Within the Cars and Suit & Helmet sections, you can also access the Paint Kit to customize each item. – The Dirt Midget has been added to the iRacing virtual garage! – This vehicle is now available for purchase in the iRacing Store. – Originating in the United States in the 1930s and now raced on a global scale, the Midget cars are an incredibly fun spectacle to witness. These cars appear very small but pack a huge power-to-weight ratio and typically run four-cylinder engines. The cars feature a handful of safety features including their own roll cages due to the dangerous nature of their power. The small vehicles weigh in around only 900 pounds but carry engines capable of 300 to 400 horsepower. Often used as a stepping stone to high profile divisions, Dirt Midget races can often feature drivers of high notoriety such as Tony Stewart, Kasey Kahne, Kyle Larson, and others. Arguably the most famous Dirt Midget event, the Chili Bowl takes place in early January at the Expo Square Pavilion in Tulsa, Oklahoma. – The Ford Fiesta RS WRC has been added to the iRacing roster of vehicles! 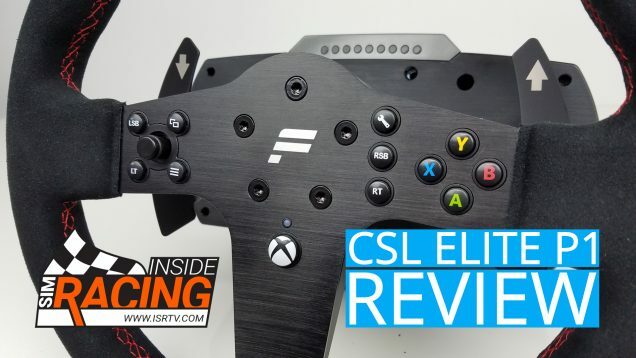 – The ability to go 0-60mph in under 2 seconds is a phenomenal feat. Probably not a feat you would expect your friendly neighborhood Ford Fiesta to achieve. But take that Fiesta and pack it with a 600-horsepower, turbocharged 2.0-liter engine powering all four wheels and that is exactly the kind of acceleration you get. Rallycross cars are little beasts unlike any other vehicle, and the Ford Fiesta RS WRC is no exception. Driven by Steve Arpin in the Red Bull Global Rallycross Series, this vehicle transitions from dirt to asphalt and back to dirt seamlessly. – Suspension adjustments for better height control. 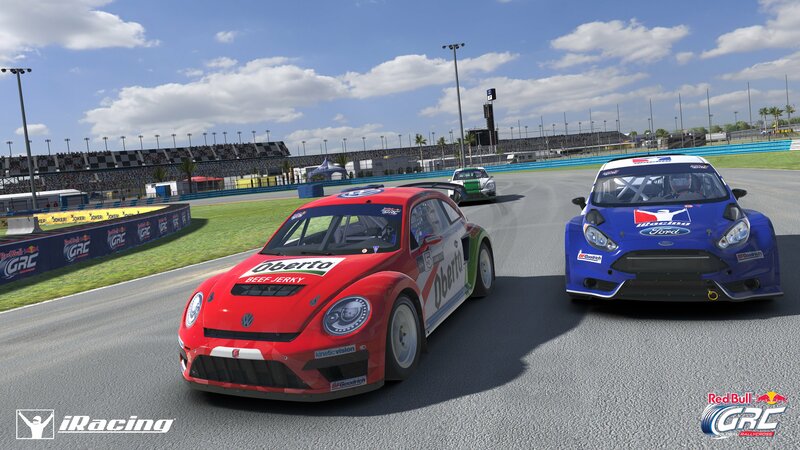 – The VW Beetle GRC has been added to the iRacing roster of vehicles! – This vehicle is FREE for all iracing.com Members! – A little buggy that packs a big punch, the Volkswagen Beetle GRC crosses asphalt and gravel effortlessly with its turbocharged, four-cylinder engine. Championed by Red Bull Global Rallycross driver Scott Speed, his 560-horsepower machine has proven to be a formidable powerhouse, winning three championship titles in a row (2015, 2016, 2017). The all wheel drive Beetle can accelerate from 0 to 60mph in just two seconds, meaning you’ll be putting the transversally mounted, six-speed racing gear box to good use right off the starting grid. This Volkswagen Beetle GRC features a retro form that pays homage to the original Volkswagen Type 1, the longest-running and most-manufactured car of a single platform ever made. 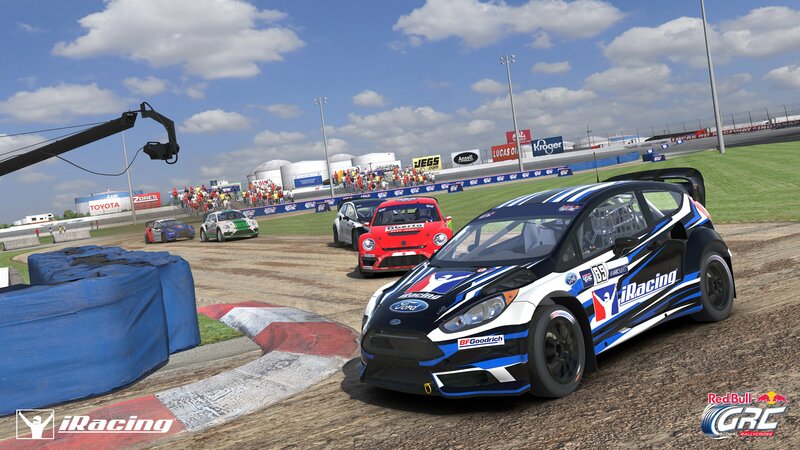 – A new Rallycross configuration (Rallycross – Long) has been added to this track! – A new Rallycross configuration (Rallycross – Short) has been added to this track! – All members own this track by default, and these new configurations are now available for use. – A new Rallycross configuration has been added to this track! – A member who already owns or purchases this track gains access to this new configuration. 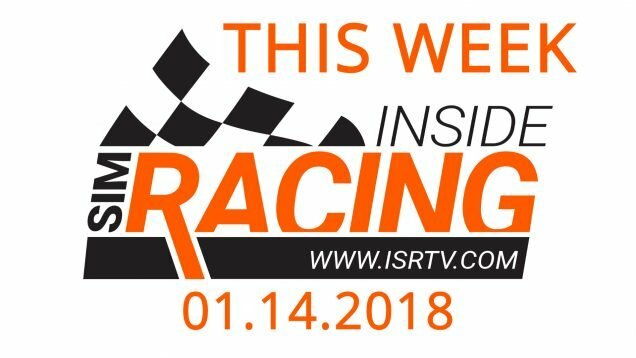 – Knoxville Raceway has been added to the digital landscape of iRacing! 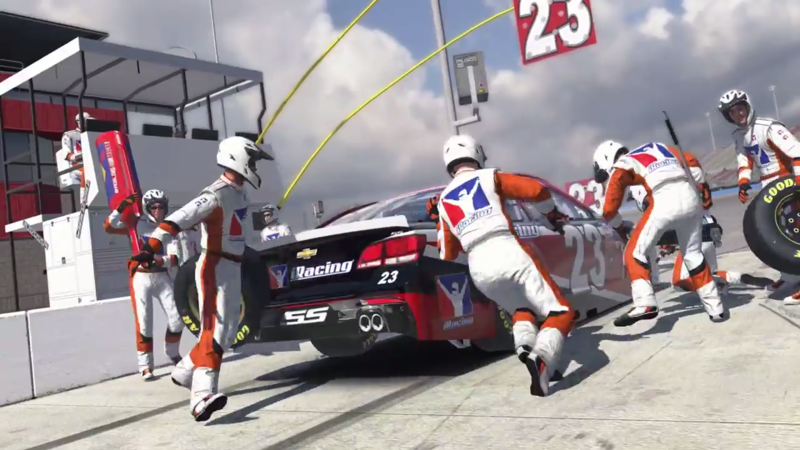 – This track is now available for purchase in the iRacing Store. – Located at the Marion County Fairgrounds in Knoxville, Iowa, USA, this half-mile dirt oval raceway is revered as the “Sprint Car Capital of the World”. Every August the Knoxville Nationals, the paramount sprint car event in the United States, is held at Knoxville Raceway. The event takes place over two days and now features a nearly one-million-dollar prize purse. The track was originally built in the late 1800s as a horse racing venue and has progressed from racing stock cars to modifieds to supermodifieds to its current sprint cars. – All members own this track by default, and this new configuration is now available for use.